The leader of the Standing Rock Sioux Tribe in North Dakota is urging calm ahead of a highly anticipated court ruling that could halt work on the contentious Dakota Access pipeline project. Thousands have gathered in and around the reservation to support the tribe's fight against the pipeline, which many fear could leak and contaminate the Missouri River. The tribe was successful in getting a temporary work halt on portions of the pipeline earlier this week. But the temporary work stop came only after a violent confrontation over the weekend between people from the camp and private security guards armed with dogs and pepper spray. 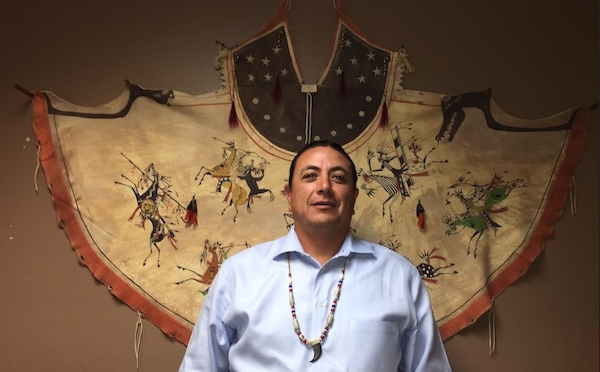 Tribal chair David Archambault said that regardless of how the Federal Court rules on Friday, he doesn't want to see a repeat of that conflict. "Any act of violence hurts our cause and is not welcome here," he said in a statement released on Thursday. "We invite all supporters to join us in prayer that, ultimately, the right decision — the moral decision — is made to protect our people, our sacred places, our land and our resources." A camp set up to support the Standing Rock Sioux Tribe's fight against the oil pipeline has swelled over the past few days, now populated by thousands of people from across North America. Few in that camp seemed concerned about the increase in police, though some reported already seeing unmarked vehicles with out-of-state licence plates in the area. Archambault said he was told by the governor that National Guard would not enter the camp. Responses to "Standing Rock Sioux Tribe Calls For Peace"
I will share a case with you .. If you get your 6 women and 6 men, and make a circle where you stand every woman and man. The men folds his hands into your neighbor's hands and keeping your hands on the shoulders of women. The ladies folds his hands together with its neighbor woman .and keep your hands behind your lower back to the men. In this way there is formed two circles in a single circle. Each individual then enters himself and brings forth the strongest love energy they manage to retrieve. Then send this energy into the two hands you are folded together with. To form two energies in a circle, the masculine and the feminine. Do this over and over again, until you know the energy rise in their bodies. Then send this energy into the center of the circle, and you have achieved strong enough charge, there will be a blue light pillar in the middle. Send it out over the area and it will heal everything and everyone. Do it and Dan happily several such circles with 12 people in ..